I use a baby carrier every time I fly. You can breeze through security (you can walk through the metal detector with your baby strapped to you), you have both hands free, and your child can look around and be instantly entertained throughout the airport. For activities like hiking or exploring busy cities, wearing your baby is so much easier than trying to lug around a stroller. Baby carriers make travel so much easier, especially on uneven surfaces like this! When possible, it’s easiest to travel with frozen breastmilk in a freezer bag and simply alert the TSA agents as you’re putting it through the scanner. If the milk is not frozen, they will need to test it. Or, if you refuse to have the milk tested, they’ll give you a full pat down and search all your bags. Best to skip all the hassle! I also like to call ahead at my hotel and ask for a mini fridge in my room, as it may not be immediately available if you ask on arrival. Carry-on bags… you get 3! 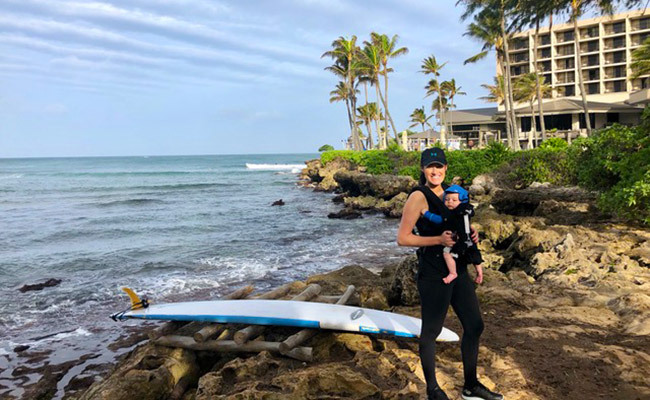 When I traveled with an infant, I had my diaper bag, a pump bag for my breast pump, and a backpack as my personal item. To save in-flight space, you can check a car seat and base as a free item, as well as a stroller. For long travel days where you will have a layover for 2+ hours, I recommend keeping your stroller with you and gate checking it. It’s amazing to have the stroller as a catch-all storage place during a layover, particularly if you are traveling alone. Just be sure to check your airline’s policy before heading to the airport, as some have different restrictions for gate checking. Charlie on one of his many flights before he turned 1 year old! Even with best laid plans, you might need to do an impromptu outfit and diaper change, so it’s best to be prepared. 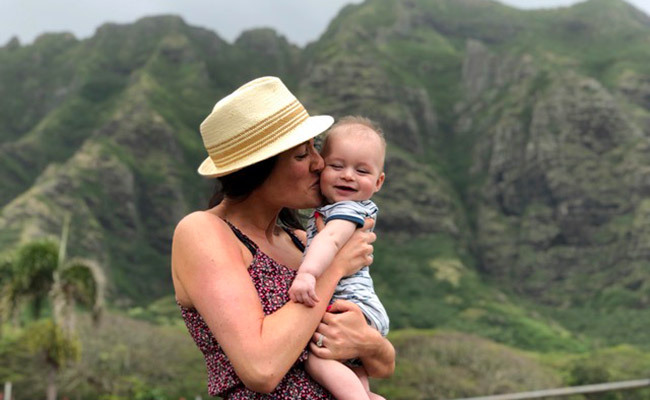 My biggest recommendation is to bring an empty Ziploc bag for the flight, because if an unexpected… event… happens and you need a quick outfit change for your baby, you’ll want to stash those dirty clothes somewhere. This has saved me on more than one occasion! I also recommend putting together a diaper change kit in a Ziploc baggie and storing it in your airplane seat pocket for easy access. Every time I stay in a hotel or a new place with my baby, the sound machine saves the day! It’s great to drone out the new sounds your baby might not be used to. Plus, if you also use one at home, it will help signify when it’s bed time (especially if you just changed time zones)! 7. Leave the crib at home! I recommend calling ahead and reserving a crib at your hotel if possible. 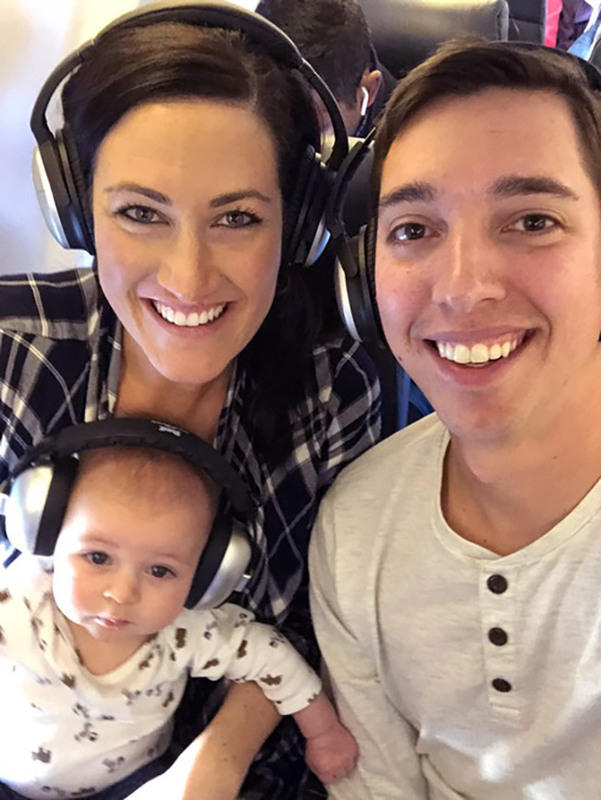 Pack ’n Plays are not considered “free” checked items on your flight (unlike a stroller or car seat), so it will save you money and the hassle of lugging another item! I do recommend bringing your own sheets, though; I pack a regular-sized crib sheet and a Pack ’n Play crib sheet to be safe. In the hotel room, you can create an instant “nursery” set up by placing the crib in the closet with the doors left open, or putting it against the window with the curtains pulled 3/4 of the way around it (assuming your baby can’t stand and pull the curtains yet!). Having the sound machine by the crib will make baby feel right at home. 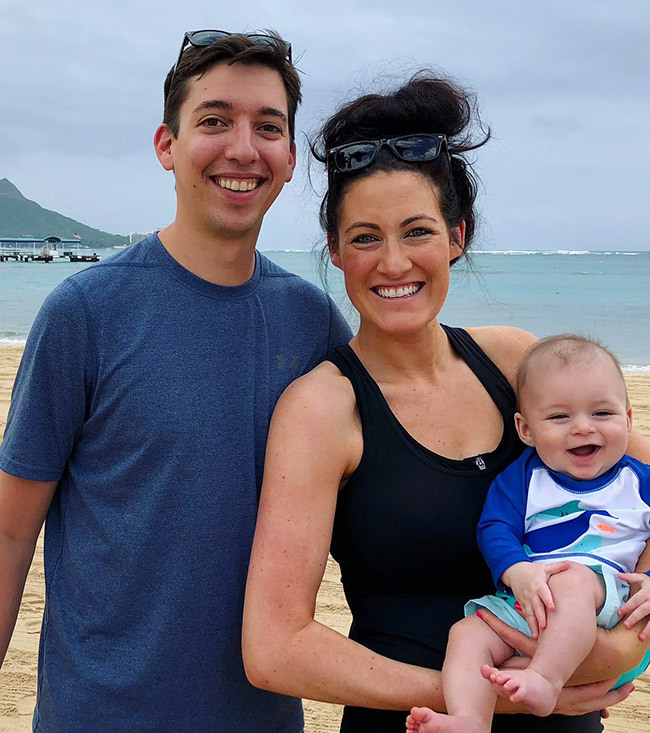 If you have more questions about traveling with an infant, please reach out to me at ehoffman@downunderendeavours.com or (888) 229-0082 and I’d love to chat! You can also use our online trip planner to browse family vacation packages.